After months of personal attacks and shoddy treatment by the Lantigua administration, Lawrence Fire Chief Murphy spoke out at a Lawrence City Council meeting last month saying he opposed taking the Chief’s job out of Civil Service. He also exposed how badly he has been treated by Mayor Lantigua and announced that he will be stepping down as Fire Chief. Here is, in part, what Murphy said in his address to the Lawrence City Council. “If this fire department’s not broke, don’t try to fix it. I have been in the chief’s position since January 4, 2010, just over 1 year. 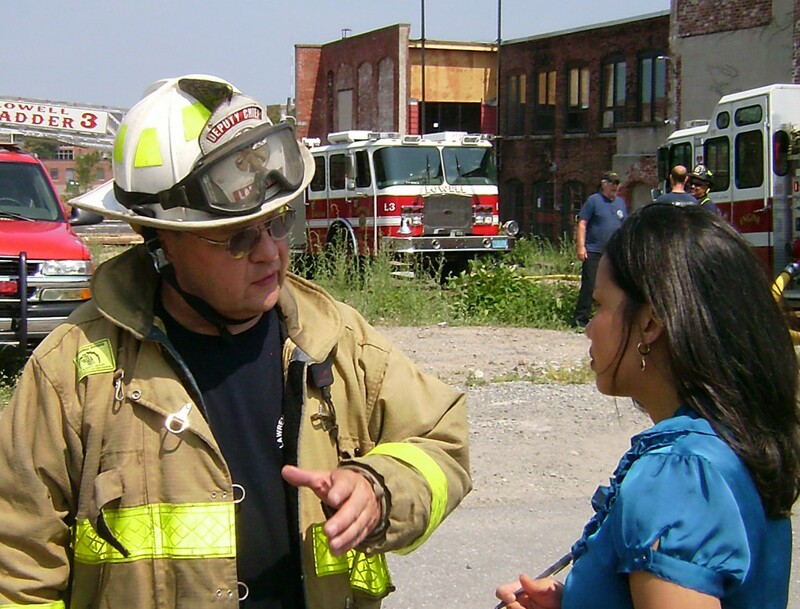 I have a very good perspective on what it is to be a fire chief in Lawrence, to date. That is what I am basing my opinion on what Lawrence needs, not Georgetown, not Manchester by the sea, but what Lawrence needs. I believe that, at least, we all agree that Lawrence is unique. By law and by design, the authority of the fire chief is quite extensive. Decisions on a day to day basis can and do impact the safety of the citizens and their property. The fire chief is responsible for all fire suppression activities, the actions of plans associated with those activities, all hazardous material incidents and all other emergency incidents including flooding and other related natural disasters. The fire chief is, also responsible for management in the department. The fire chief is responsible for enforcement and interpretation of all fire codes and regulations. The chief is required by law to enforce all codes and regulations equally. The fire chief must have the ability to enforce the regulations and codes without limitation, without exceptions and without the fear of threat of repercussions. The protection for the chief to perform his required duties comes from civil service. I do not believe civil service is perfect, but I do believe protections from civil service are necessary for a fire chief in Lawrence. I believe there are positions in the administration that should be hand picked. For example, the chief of staff. The Lawrence fire department has been managed and managed well by civil service fire chiefs for 71 plus years. Another argument attempting to support taking the fire chief out of Civil Service is look at the good job Chief Romero has done at the police department. I agree, Chief Romero has done a good job, but if you remember, the first several police chiefs that were picked out of civil service did not fair quite as well. What I suggest before voting to remove the position from civil service – look at the 13 civil service fire chiefs. The job they did over the past 70 plus years and managing the Lawrence Fire Department, the result will be that they did an excellent job. We have a history of job performance on the Fire Department from Civil Service fire chiefs that is unmatched. I have been a member of the Lawrence Fire Department for 31 years. I have worked my way up through the ranks, through the civil service process, because that is what we have to have in place in the city of Lawrence. I was appointed, acting chief on January 4, 2010 and have been in the chief’s position since that time. In mid march, I was notified by this administration that I will be made Civil Service Chief. I was called to the personnel office and signed the required paperwork. The next communication I received was approximately two months later. It was an e-mail copy that we all get for the agenda for the city council meeting that was going to be held on May 19, 2010. In the agenda, under the new business, there is a listing of homeroom petition exempting position of Fire Chief from Civil Service. No one from the administration informed me that this was occurring. My understanding from the administration, prior to this notice, was that the chief was going to remain in civil service and myself. I believe that my faults, at least as far as this administration is concerned are that I have been relentless and outspoken with regards to the cut backs in fire suppression and the predictable outcomes that will result. 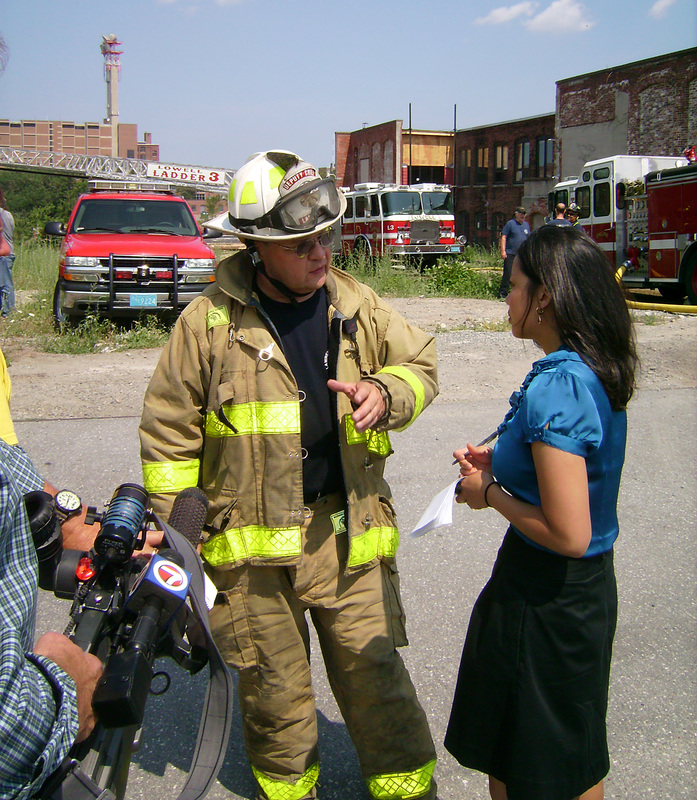 On Friday January 7, 2011, Mayor Lantigua issued a directive to me that in effect, forbid myself and fire department members from making public comments to the media at fire incidents. I would like to know, when the fire chief is forbidden from making public comments with regards to fire fighting staff levels, mutual aid, adequacy of available equipment, who then, will inform the public of these deficiencies. Who will be at there if the fire chief can’t do it? I believe that if our fire chief was not relentless and outspoken with regards to fire suppression and the conditions in Lawrence, the fire department would have not received the $6.6 million dollar grant that we were just notified that we are receiving yesterday, which allows the department to hire 38 firefighters for a 2 year period with no strings attached. This will bring us up to at least a base level fire protection, which is where we have to be at. At this time, I would like to acknowledge our grant writer Lt. Paul Macarone from the Lawrence Fire Department, who worked tirelessly putting this grant together and putting the narrative together. All of the data and costs associated with this grant for a successful grant. (applause) This grant is exceptional to the Lawrence Fire Department and it’s unfortunate that it had to be fought hard to get it through this administration. I believe that instead of continuously throwing road blocks in front of the fire department, if this administration had instead worked with the department, the end result would have been more advantageous to the city. I believe this decision to remove the chief’s position from civil service was made in order that I have not made permanent fire chief. I fully believe that there will be disclaimers indicating “Oh no, it’s not personal, we just want to do what’s right for the city and we just want to be responsible. If that’s the case, can you explain to me why after working at the Lawrence Fire Department for 31 years, after having followed all of the requirements and being an active civil service fire chief why no one from this administration has even bothered to ask me for my resume to see what qualifications I have. Can you explain to me why after being on the fire department for 31 years and after actually have been fire chief for the last 381 days, why no one from this administration has even bothered to ask what I have accomplished in that time. I have just a few more items to go over. A few thank yous and a couple of other comments. I would, personally like to thank counselor Mark Laplante for his support and efforts to address the mutual aid response issues and his support to bring back fire suppression levels to, at least a baseline level. (applause) I would like to thank all of the citizens here tonight in support of the department. I would, also, like to thank the citizens at home who are in support of the department. I would like to thank all of the citizens who I have met at the neighborhood groups, group meetings and other events to express their support for the Lawrence Fire Department. It is truly appreciated. I would like to thank my wife, Judy, for her support. I would, especially like to recognize and thank each and every member of the Lawrence Fire Department. These department members have been subjected to unwarranted and uncalled for criticism of delayed responses to incidents, unwarranted calls for investigations of fire incident operations, unwarranted accusations about the causes of fires and bizarre threats of recruiting citizens to follow firefighters and spy on their operations. In addition to the above list, the work load for the remaining firefighters has increased to a point where we are seeing injuries to our firefighters. Even after all of this, the department members still put together a significant package that brought 8 laid off members back to work. Pingback: What is the best site with Bootstrap web design?